The University of Arizona Cycling Team is where UA faculty, staff, graduate and undergraduate students alike come together to enjoy riding. We have regular group rides, we race, support the larger cycling community and have fun doing it. All levels and types of riders are welcome to join. 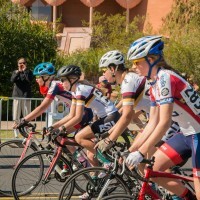 Even if you don’t want to race, benefits of team membership include group rides, official University of Arizona Cycling clothing, skills development, access to team events and sponsor discounts. Since 1984, we have promoted cycling and professionally represented our sponsors at events across the nation. 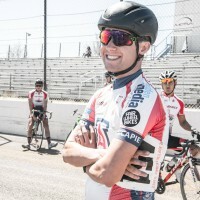 The University of Arizona Cycling Team has not only been a place for collegiate cyclists to develop into professional athletes but also as a place to see the energy and commitment of young cyclists in your our community. The tram doesn’t just support its successful race team; it also strives to promote sustainability in our community. 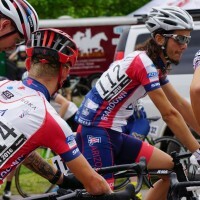 At present, our current team consists of about 75 riders actively participating to promote cycling as a recreational sport while contributing a national-level race team. We are able achieve this through the enthusiasm of our members and the support of our sponsors, friends, family and local community. If you are interested in becoming a member, you just need to be a UA Affiliate and pay $40 dues. The benefit of being a dues paying member is the many discounts extended to us by our sponsors such as Fair Wheel Bikes, SRAM, R-Bar Organics, and many more. To learn more about membership discounts or ordering UA Cycling kits, please contact us or come to a regular ride or team meeting. To be aware of news and team updates please sign up for our listserv emails and connect with us on our social media outlets. We have a lively and active Facebook page for UA students. You must have a .email.arizona.edu address to access the page. Other pages are available to the public. Send an email to list@list.arizona.edu from the address you want to use. This is not a person but a mailing list management system, so messages should only contain commands. In the subject line of your email, type in: subscribe listname Firstname Lastname (replace listname with uacycling and indicate your own first name and last name). Log in. Logging in with your UA NetID and password lets you access your subscriptions with the address that is listed as your official University address. If you have subscriptions under an address that’s not your official University address, you will have to create a separate login under Don’t have a NetID for that address. Find the list you want to subscribe to using the categories listed under the Home tab, or use the alphabetical list under the List of Lists tab. Click the list you want to subscribe to. Click the Subscribe link in the left menu and submit your email address. If you have any general questions regarding the team please fill out the contact form below to send an email to our team officers. Support the team! Donations are tax deductible.